Do you shop at King Soopers? Do you use your King Soopers card? 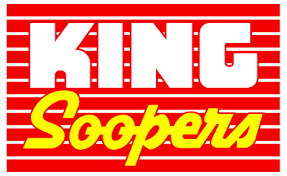 If so, please take the time to click on the King Soopers logo above to register your card with Fairmount Elementary School to help raise money for our school! This is our largest fundraiser at Fairmount!! Please note that if you already have a reloadable grocery card with King Soopers, you will still need to register your card at www.KingSoopers.com/CommunityRewards today! If you have questions about the new program or the enrollment process, please click here for our King Soopers' FAQ sheet! Fairmount PTA is again sponsoring a night of fun for Fairmount families and friends at Lakeside Amusement Park. Those of you who have come in the past know this is a great end-of-the-year family event with rides for every age! Price: Admission will be $10 each in advance and $10 each at the gate. Ages 2 and under are free. Parking is FREE and all picnic areas and refreshment stands will be open. Please contact Kyle Turner at mrskyleturner@yahoo.com if you have any questions or for rain date information. Advance tickets must be purchased by Wednesday, May 15th. Tickets ordered in advance will go home with your child on Friday, May 17th. The PTA is offering an educational program for the summer that can help maintain your child’s skill levels while having fun. The Summer Bridge Activities Workbooks have been developed by classroom teachers to bridge the educational gap during the summer. The first part of the book (two-thirds) provides a heavy review of the grade your child is leaving, and the last part of the book (one-third) is a preview of the next grade to prepare your child for the upcoming year. You may order any grade from Pre-K transitioning to Kindergarten all the way through 7th grade transitioning to 8th grade. The cost of the workbook is $15.00. Please click here to order yours today! 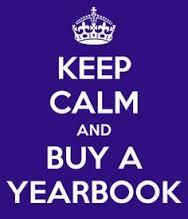 Deadline to order is Friday, Apr 19th. We appreciate your support and are confident that your children will benefit from this wonderful educational opportunity. 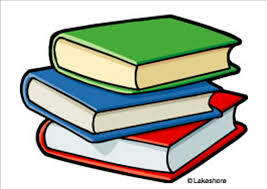 In addition, our supplier for these books, Jake’s Toy Box, will be donating $5.00 to our school for every book you order! Register for this year's race, click here! Registration for the race closes on April 26, 2019. Show your support for Fairmount by making Chipotle your choice for dinner on Tuesday, April 30th between 4:00pm and 8:00pm. Bring the attached flyer or show it on your smartphone or tell the cashier your're supporting the Fairmount 5K to make sure that 33% of the proceeds will be donated to Fairmount! Please not that orders made online/app or call ins do not count. Step 1: Register/Renew Your Account! Register your family so that you will have full access to all that Fairmount PTA has to offer! If you have earnings from our PTA Grocery Card Program, these funds have been placed in your account for PTA purchases, no receipts required. Doing this saves your PTA Board time and is greatly appreciated! If needed, you may still receive a refund up to your credit amount for your 2018-19 school fees. Click here to check to your balance. PTA membership is open to anyone who wants to be involved and make a difference for the education, health and welfare of children and youth. Membership is $10/person. 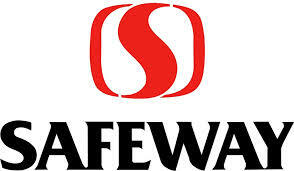 Grocery Card Fundraising Program with King Soopers & SafewaY! Grab a friend and do it together! Please help us to keep our Fairmount Community strong!!! To volunteer as a Room Representative, Party Volunteer, Silent Auction Committee, Student/Parent Breakfast, Book Cart, Hospitality, Library, Mountain Vista, Talent Show, Lakeside Night, 5th Grade Continuation, etc. Simply click on the Volunteer icon! This website is your one-stop shop and keeps our Fairmount Community even more informed! We are working hard to add information that will help our parents stay connected with our PTA and school community.